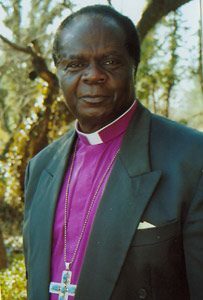 In 2001, the Chain Foundation Uganda orphanage was started by retired Archbishop Livingstone Nkoyoyo in response to the needs of local orphans, former street children, abandoned children, and the disabled. The foundation is home to more than 100 orphans and other vulnerable children, including over 40 blind students. It provides a loving, Christian environment to meet the children’s physical, educational, medical, and spiritual needs. The foundation also assists many at-risk or disabled children who live in nearby communities, and provides community education programs. 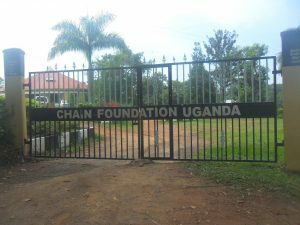 The Chain Foundation is located in Mukono, 20 kilometers from the capital city of Kampala. The Martin Nkoyoyo Inclusive School at the Chain Foundation opened in February 2009. It is the first school of its kind in Uganda, integrating blind and sighted children. This model school currently serves over 300 students from the orphanage and from nearby villages. The library at the school has an expansive selection of books, including Braille books for the blind students. Uganda is a country of 27 million people. Nearly 2 million of these are orphans, most of whom lost their parents to AIDS or other diseases. In addition, an estimated 400,000 Ugandan children are blind, usually due to congenital cataracts or preventable illnesses such as measles. Thousands more are hearing-impaired. These disabled children are often seen as a curse on the family. They are frequently neglected, mistreated, and denied education. Many are abandoned or abused. The Chain Foundation’s dedicated, Christian approach to community solutions is working to change these grim statistics. Their ministry brings hope to hundreds of vulnerable children, educates local communities, and provides support and encouragement for impoverished families. Future expansion will create space for over 100 blind or deaf children at the orphanage, and will increase the school size to allow more local children to access education. Future growth depends entirely on donations and grants.